Pears may not be a popular choice for juicing, but consider adding it to your cart the next time you go marketing (if they’re available where you are). One pear provides a quarter of your daily fiber requirement. Like apple, it contains high amount of pectin (a water-soluble fiber) that helps to effectively lower cholesterol. 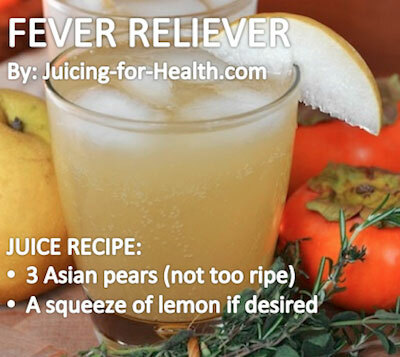 Whenever possible, choose the Chinese/Asian pear variety as they have the highest medicinal properties. Read more about the health benefits of pears.